Hybrid power system consisting of a fuel engine work in a pair with the motor-generator, batteries and motors of the board transmission. A fuel engine - ASP 160AR is a two cylinder horizontally opposed 4 stroke glow engine 25cc 2HP. 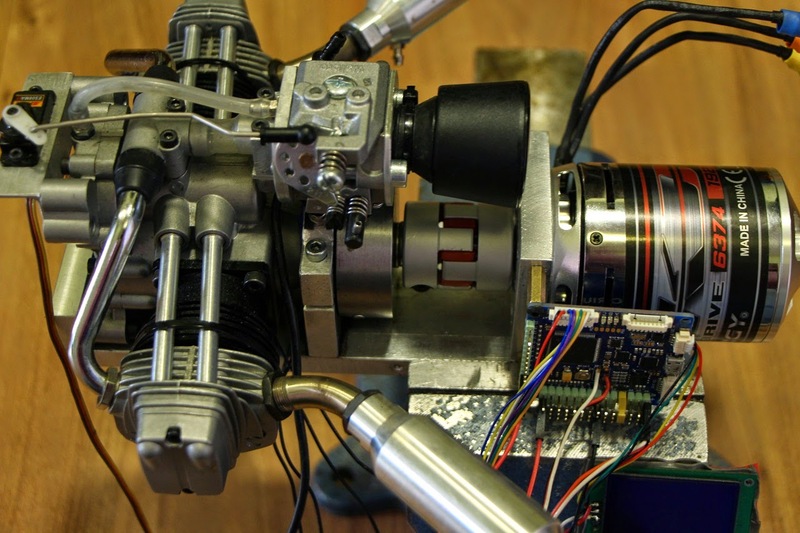 As the motor-generator uses a three-phase synchronous motor Turnigy AquaStar T20 3T 730KV/1280KV Water Cooled Brushless Motor. 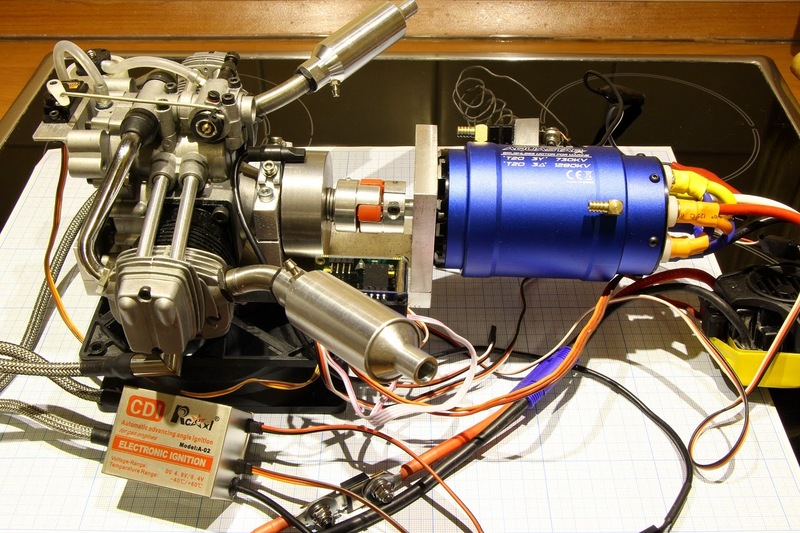 This motor has switching block coils, which allows you to switch its connections "Star" / "Triangle" for the selection of the optimal electrical characteristics. As well it is a radiator liquid cooling. Peak power of 5 kW. 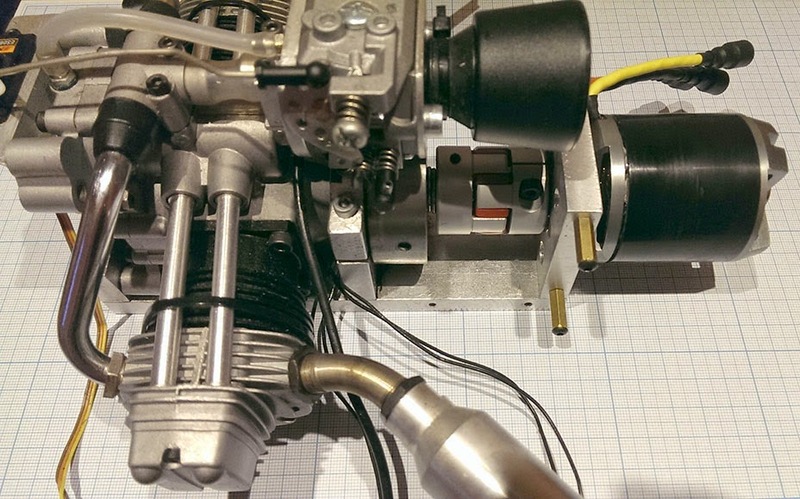 In the motor mode it will start the fuel engine. In the generator mode, he will be at the expense of fuel motor to recharge the batteries and feed power transmission motors. 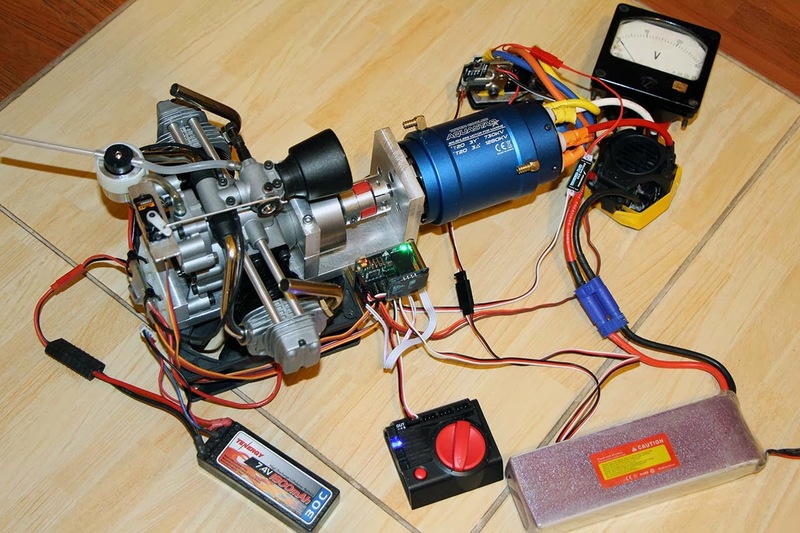 To start the fuel engine Turnigy AquaStar motor connected to the controller Castle Creations Mamba Monster. 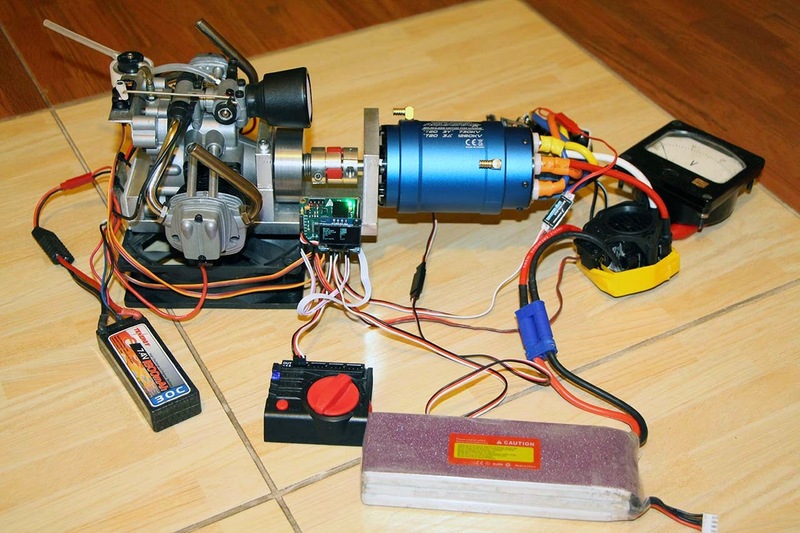 Just to start the fuel engine is used Hobbyking Two Cylinder Engine R/C Glow Plug Driver. 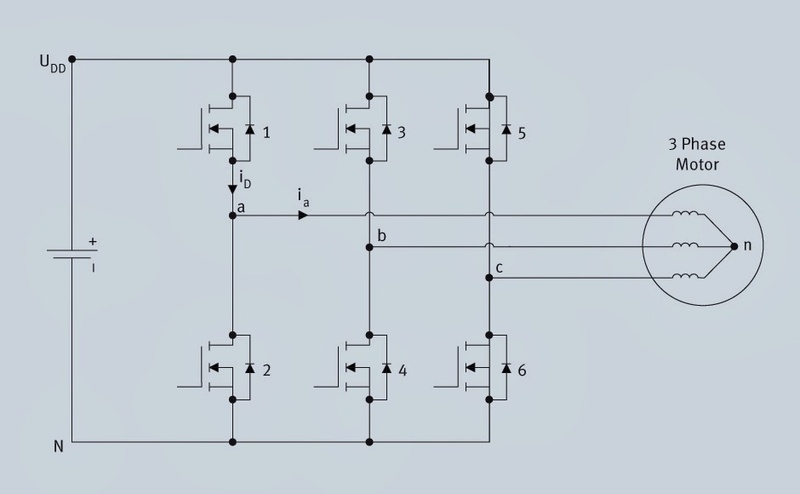 In generator mode 3-phase current is rectified through a conventional three-phase diode bridge at 50 amp. 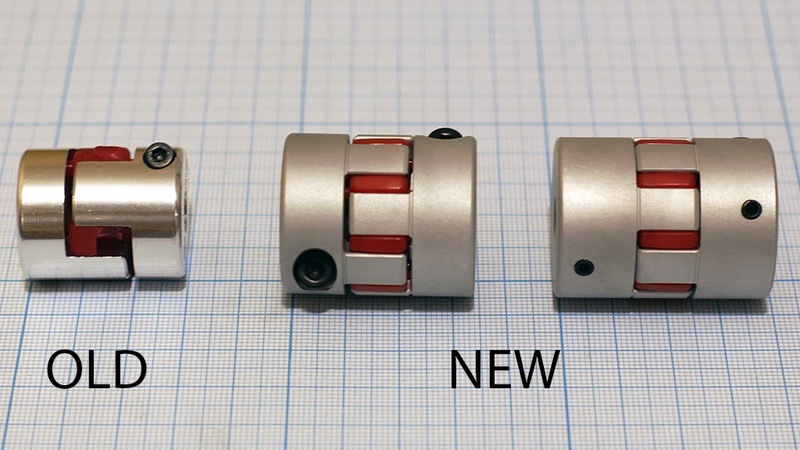 Damaged coupler after first run. 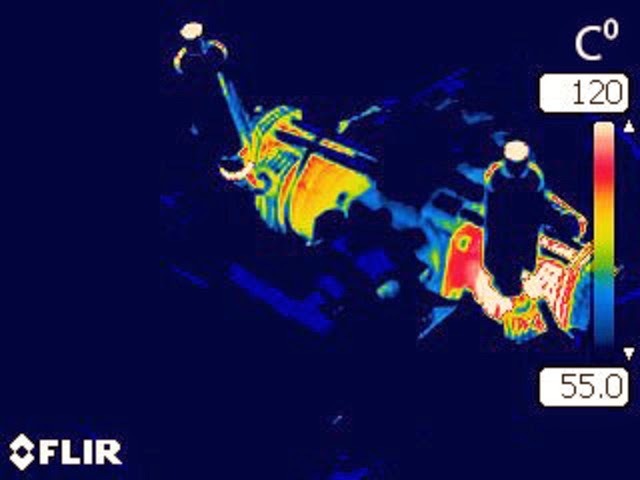 Overheating due to high torsional vibrations. 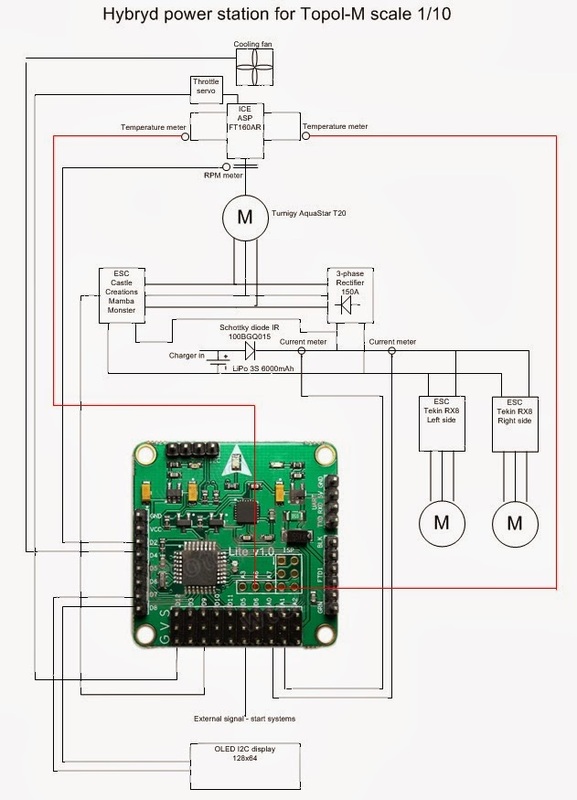 23.02.2014 Added controller based control board Crius Multiwii, current sensor, throttle servo, the cooling fan, OLED display for displaying telemetry. 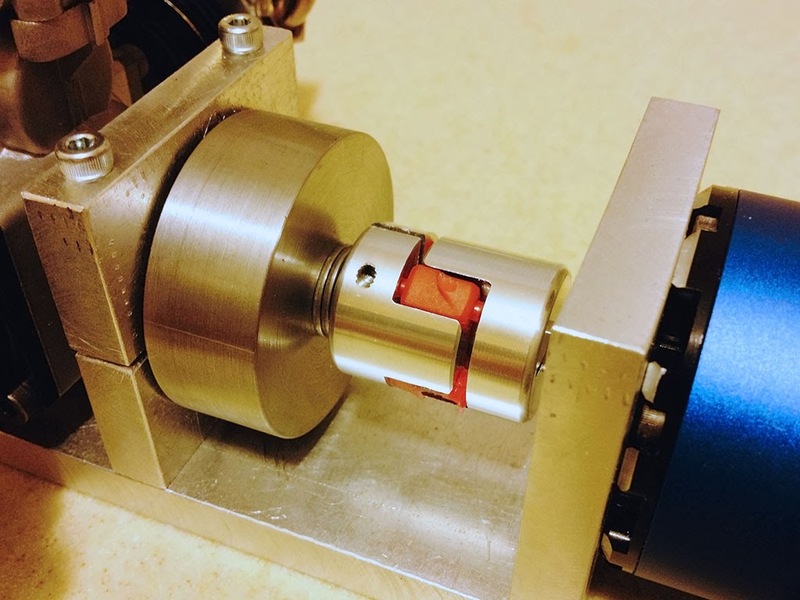 To load using nichrome wire. Voltage under load to 12 volts. Maximum current was 40 amperes. When heating wire resistance increases and the current drops to 20 amps. 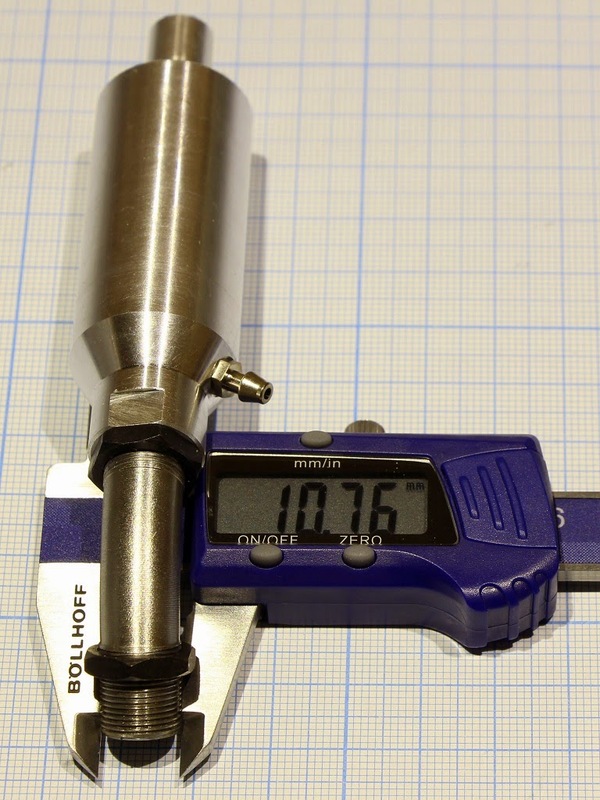 Other suitable load was not, and yet until the rectifier 50A. But based on engine speed power supply even more. 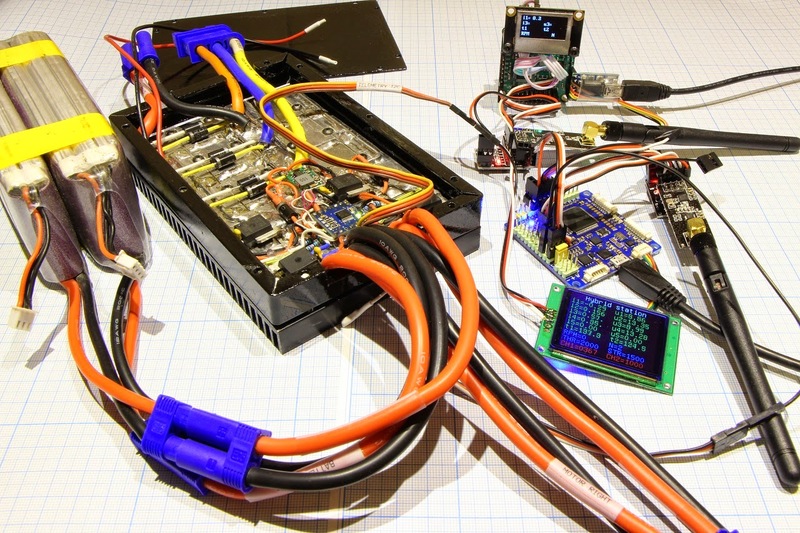 I use the generator as a starter using ESC controller. 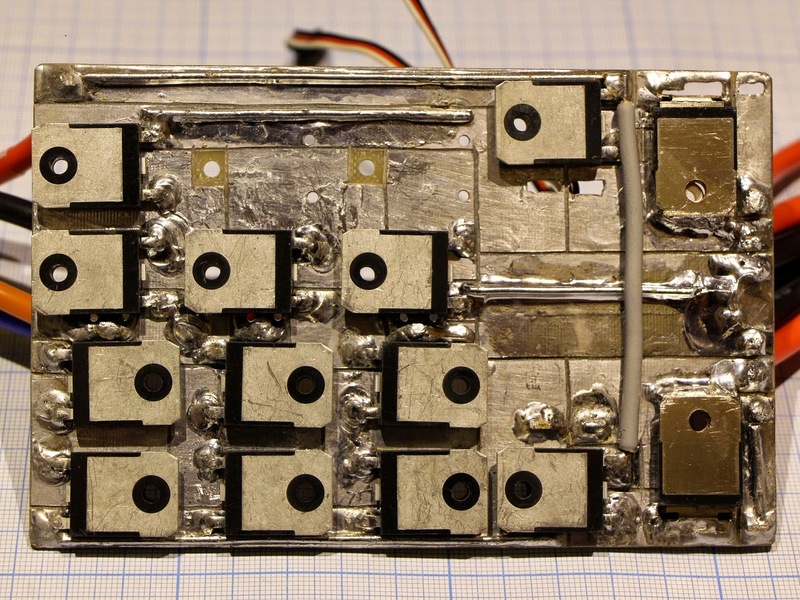 These controllers use MOSFET transistors with protective diodes. When the generator starts to produce current, it is rectified through the protection diodes and goes to the battery. Lipo battery charge during uncontrolled may malfunction or cause a fire. 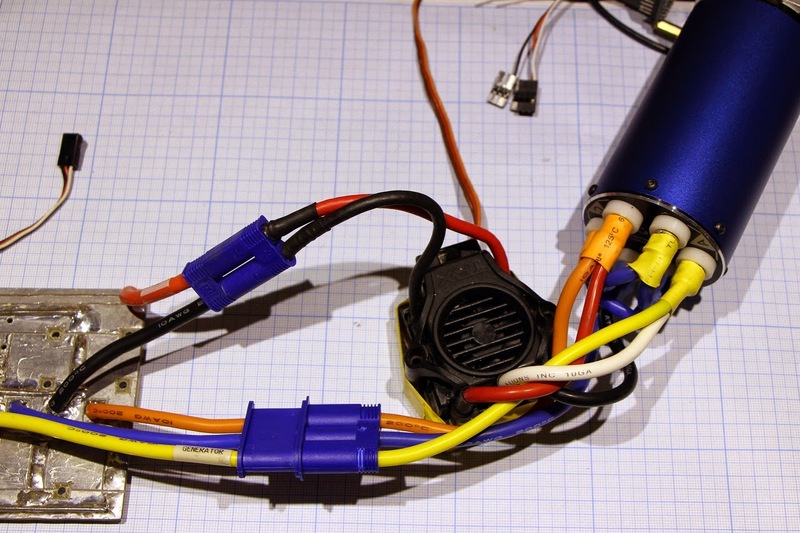 Necessary to put a diode between the battery and the starter ESC controller to protect the battery from reverse current. To recharge the battery, you should put a charge controller and balance. I used as a protection Schottky diode IR 100BGQ015 (If = 100A, Vr = 15V, Vf = 0,38 V). 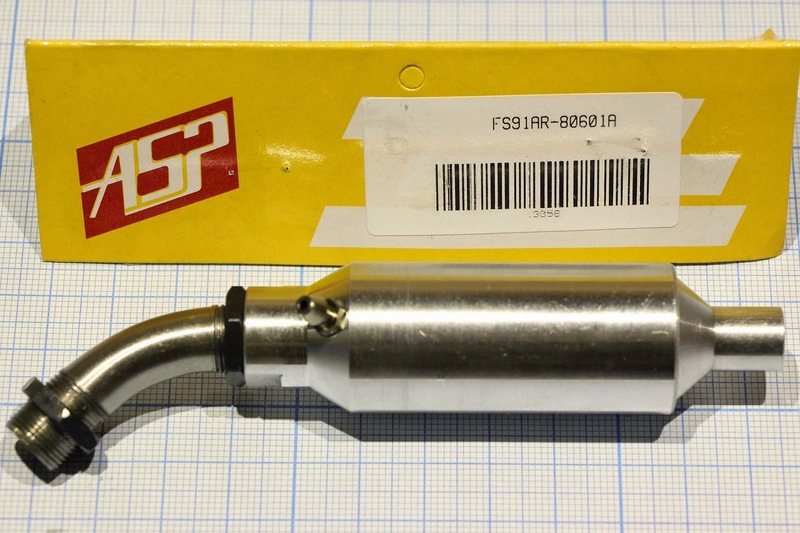 11.03.2014 The ignition system CDI Rcexl A-02. Alcohol fuel remains. Should become more stable idle and simplified start-up. RPM sensor now I will use from the ignition system. Glow plugs and 1/4-32 ME8 spark plug. 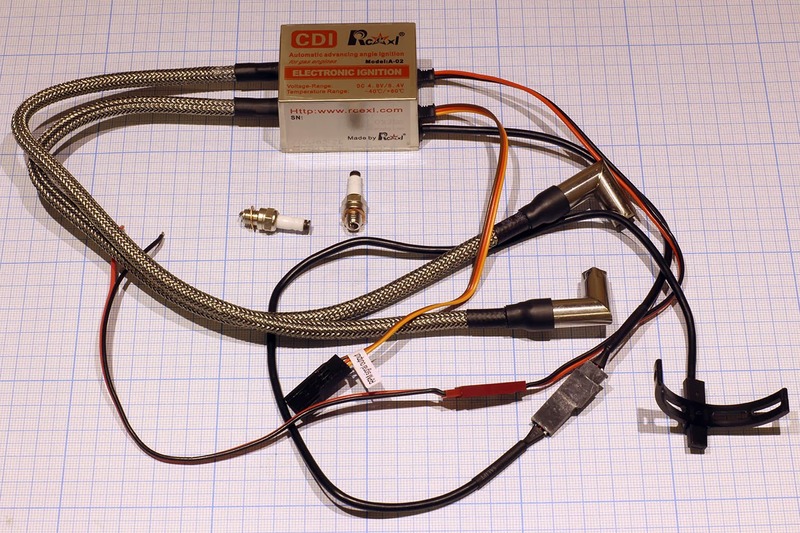 Load of nichrome wire and a current sensor (Hall sensor current up to 150A). 27.03.2014 Did mount sensor of the ignition system. 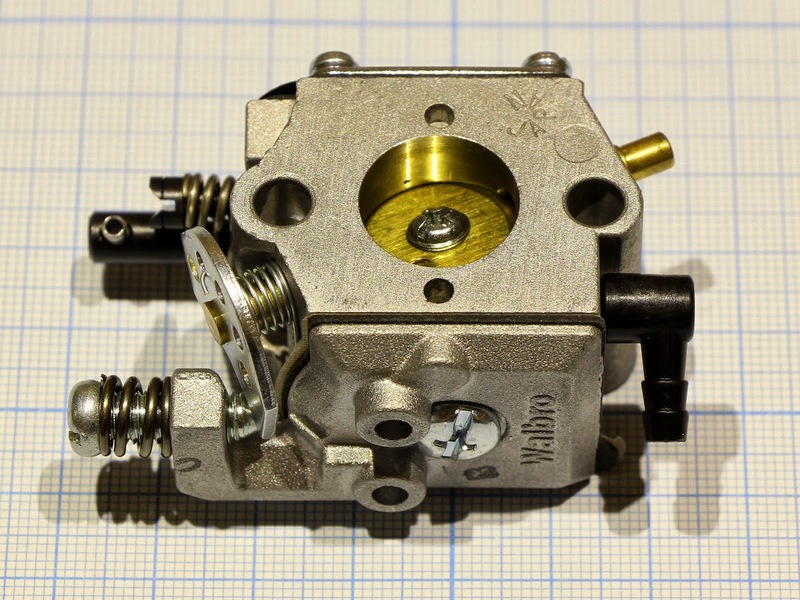 Received the carburetor Walbro WT-499 - is alcohol version, it built a pressure regulator, just should not be at the idle fuel transfer engine. 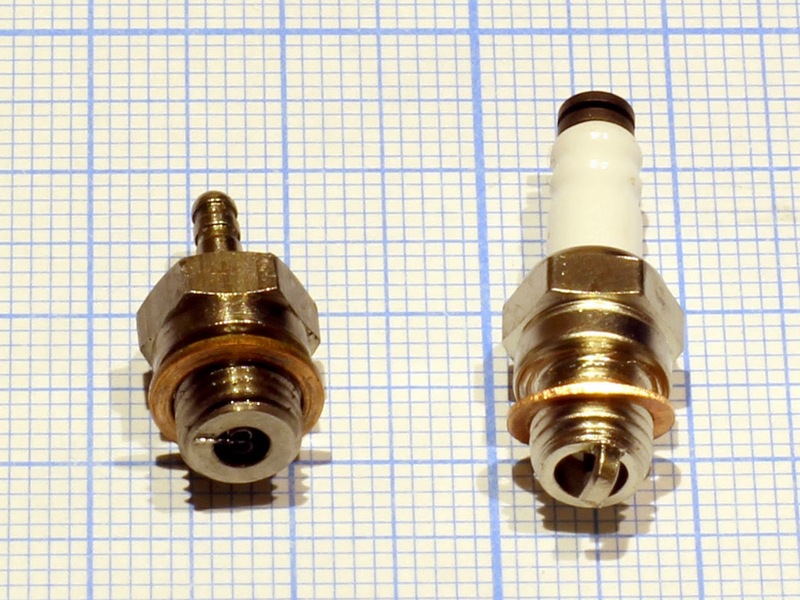 But it is still necessary to make an adapter on the inlet tract. 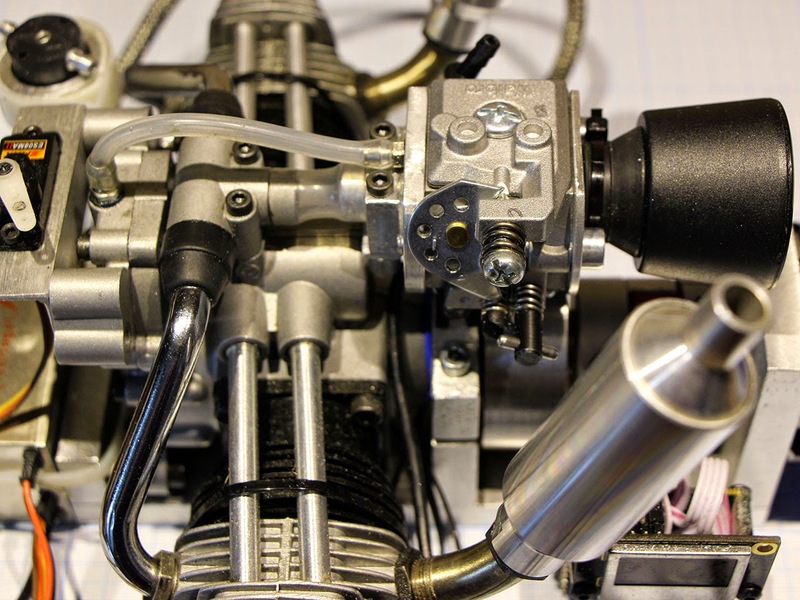 The temperature sensors are used for measuring the temperature of the cylinders to the engine. 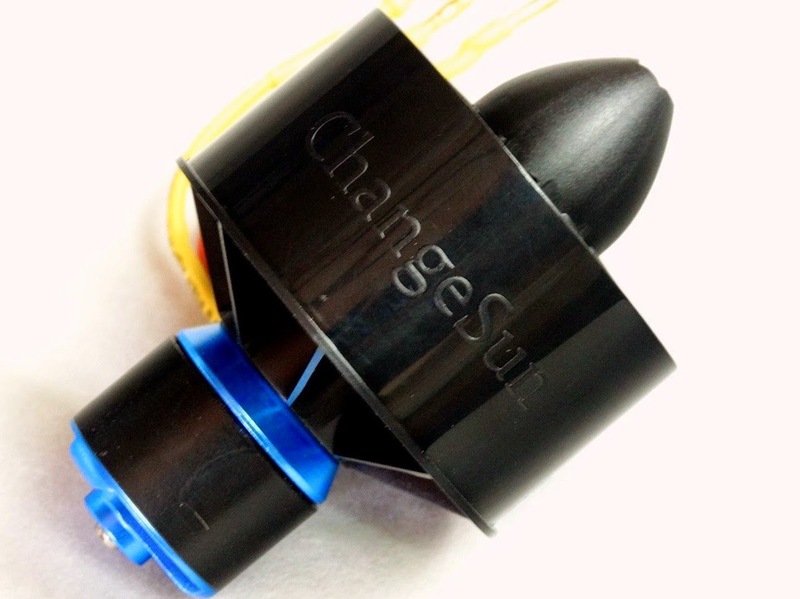 Speed ​​sensors are used to control the transmission speed of the left and right sides, for they already have landing places on the transmissions from Traxxas Summit. I needed to connect the sensors to the controller Multiwii based on Arduino, this had little to modify them. At a temperature sensor on the red wires soldered resistor, must be cut red connector and solder the wire to the sensor signal wire (black on the edge). At speed sensor (digital Hall sensor), solder a resistor (9-10 kOhms) between the red and white wire. 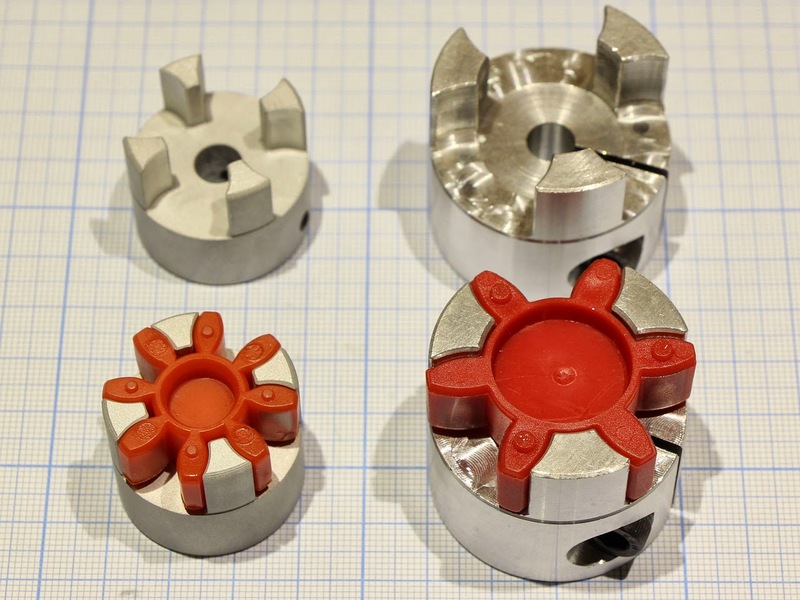 It turned out not very beautiful because track carved small cutting wheel with a hand mill Dremel. With the cutter would make prettier, but could not find it. On this board, there will be three rectifier: two powerful - separately for the right and left side and a low-power for charger. Also on board will be installed current sensors and diodes to protect the battery from reverse current. The PCB will be mounted on the radiator. 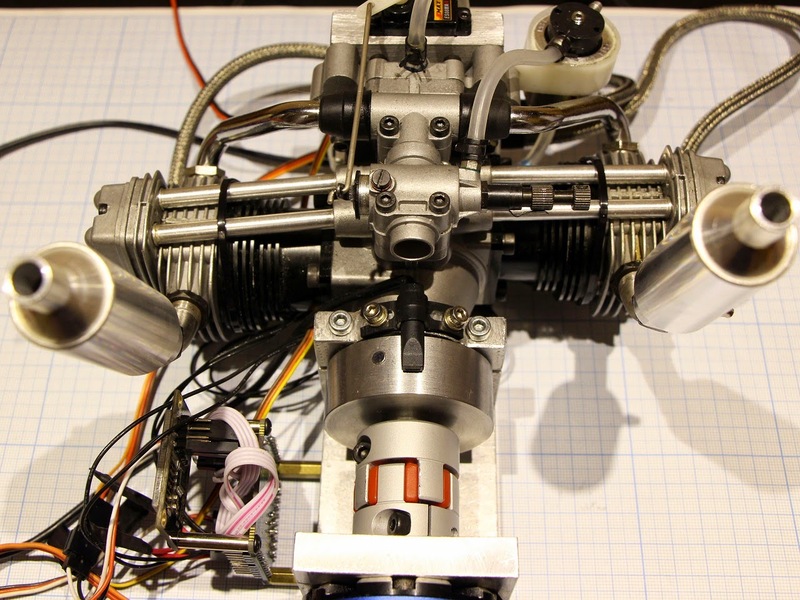 07.05.2014 Tested power station with a spark ignition system and with the new rectifier module. The load using a spiral of nichrome wire. The only caveat that the spirals they heating resistance increases and the current drops by more than twice. PCB rectifiers yet not completed due to lack of some details, but suitable for testing. 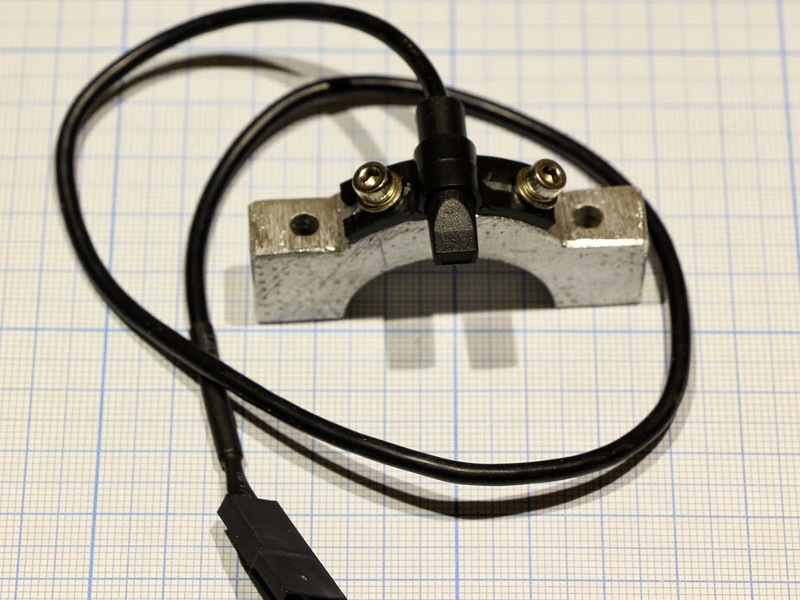 In the rectifier applied Schottky diodes DSS60-0045B (If = 60A, Vr = 45V, Vf = 0,57 V). 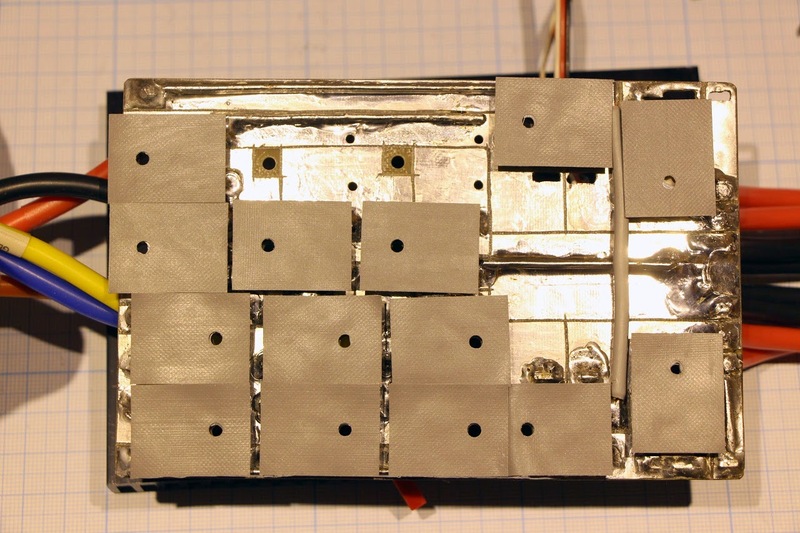 Diodes are attached to the radiator through the insulating thermal pads. 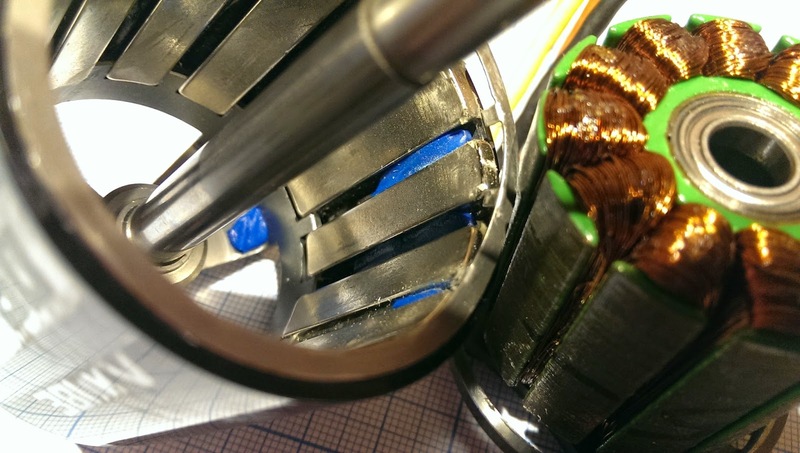 Power paths on PCB soldered copper wires to reduce the resistance. Currents can exceed 100A. Besides diodes put current sensors ACS758KCB-150B (current measurement in two directions to 150A) to the battery and ACS755LCB-130 (current measurement in one direction to 130A) output to power motors of transmission. 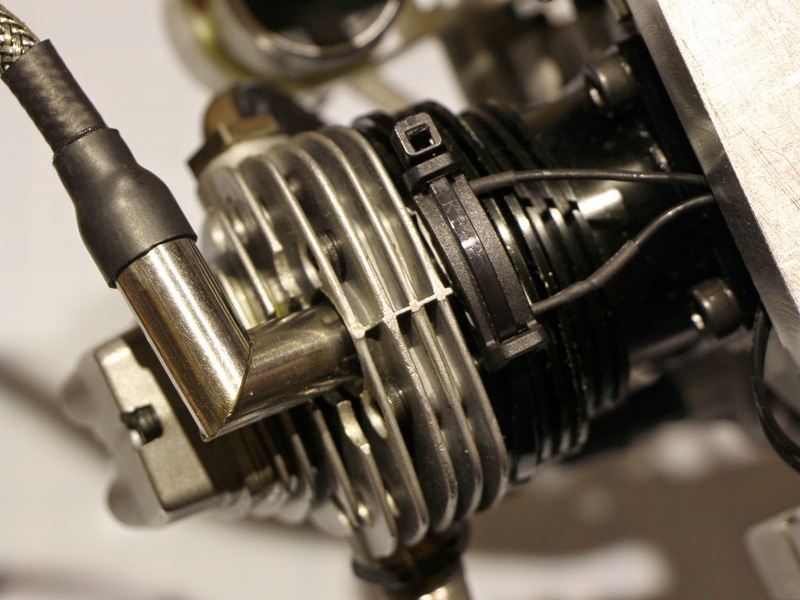 On one side the wire are soldered to the left and right battery and left and right motor of transmission. 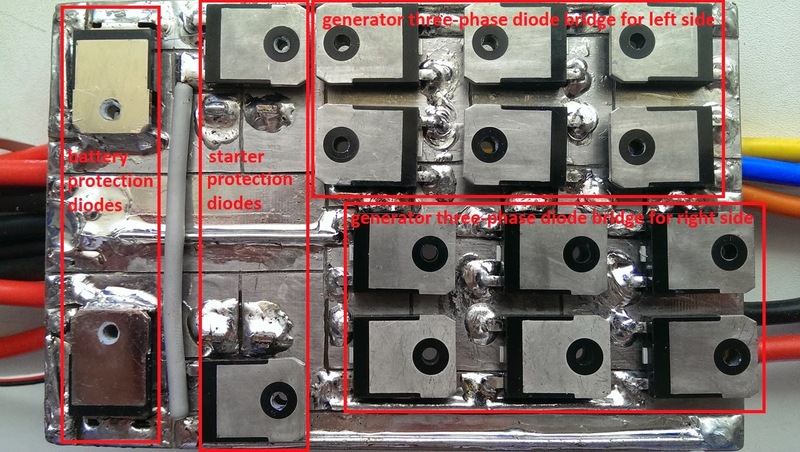 Batteries are connected to the generator through a rectifier protection diodes from reverse current (Schottky diodes IR 100BGQ015 If = 100A, Vr = 15V, Vf = 0,38 V). 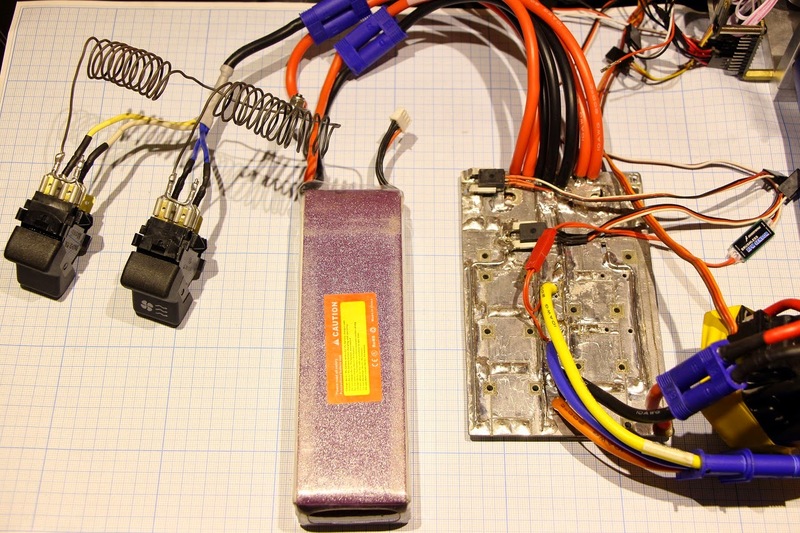 On the other side the wire are soldered to the starter controller output and three-phase input to the generator. Exit to the starter is powered through the protection diodes from reverse current (Schottky diodes DSS60-0045B). 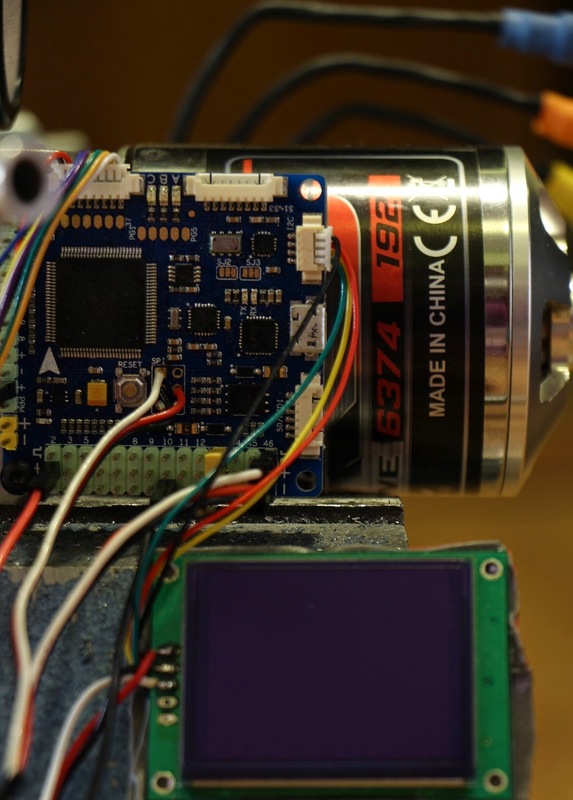 I have a starter and generator implemented in a drive Turnigy Aquastar. 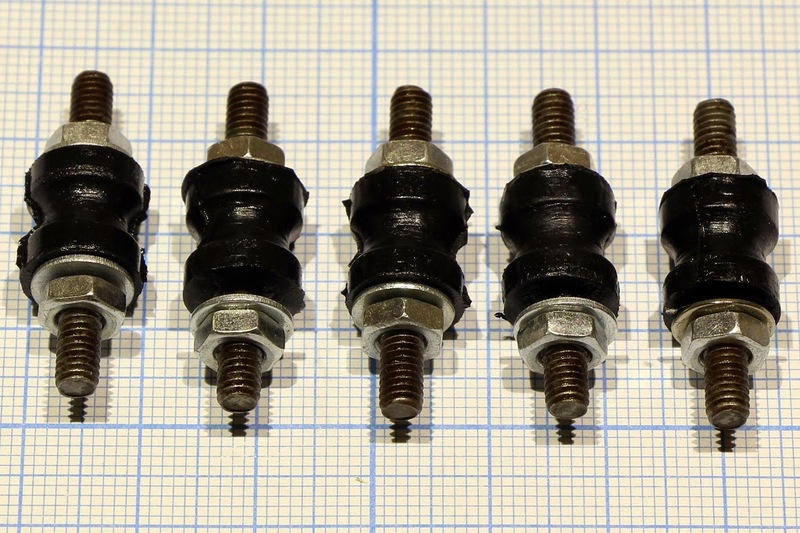 Traxxas temperature sensors are installed near to spark plugs. 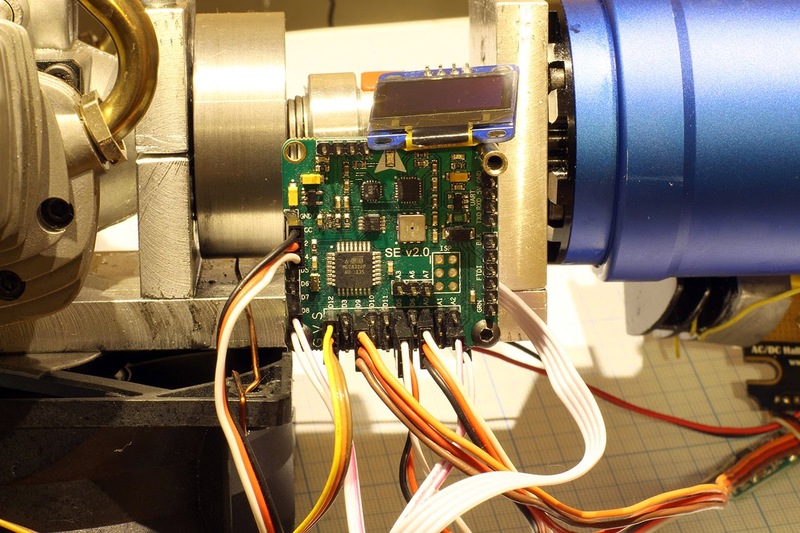 Thermo photos of the working motor to the imager. 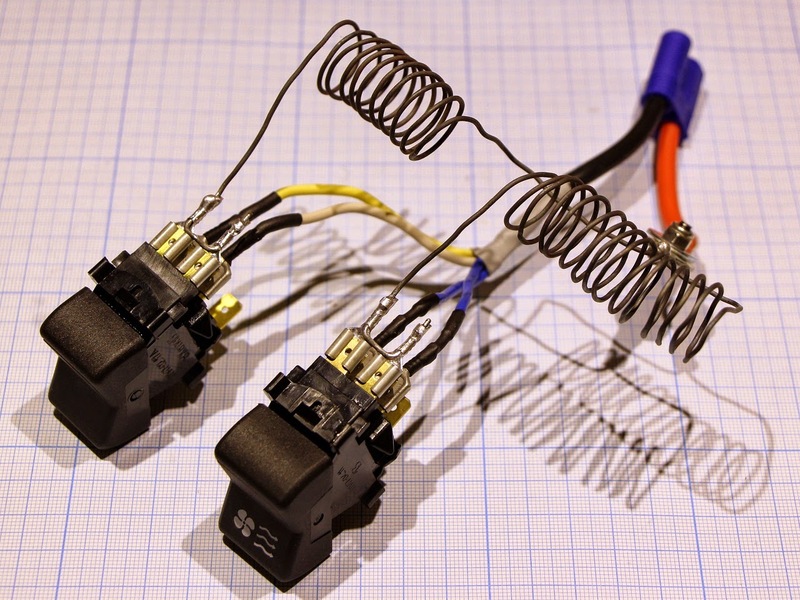 Spark Ignition System pleased, engine start instantly when opening flaps carburetor. Temperature sensors work, but maybe there is measurement error, I do not calibrated to temperatures above 100 ° C.
But current sensors incorrectly displayed on the screen will look for errors in the controller program. Well, in this time did not forget to take a voltmeter and an ammeter. Did a load test with disconnected battery voltage drops to 5.5 volts at 40 amps, the motor is unstable. Have a suspicion on poorly adjusted the ignition and quality of the mixture. New carburetor did not put together with the new ignition system. 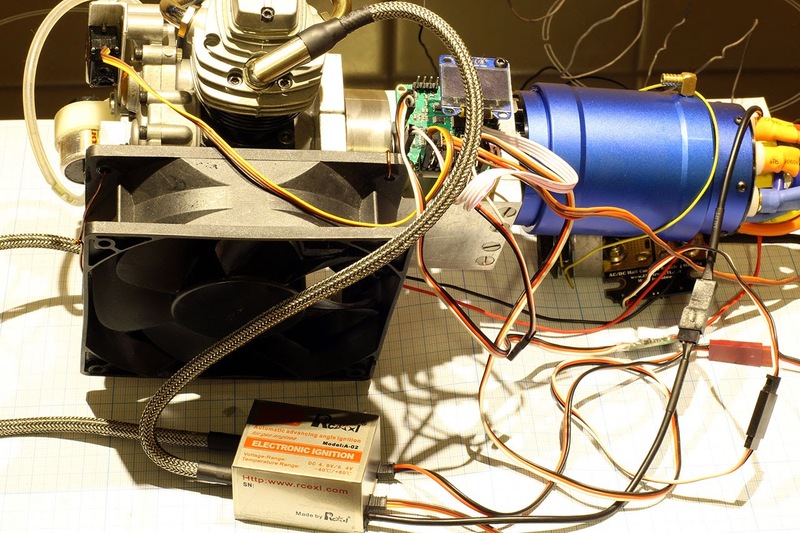 I still have a weak cooling fan, which is only enough to idle, so the tests were short. Rectifier radiator and generator is not particularly heated on short tests. 17.05.2014 Made the mount for carburetor Walbro WT-499. 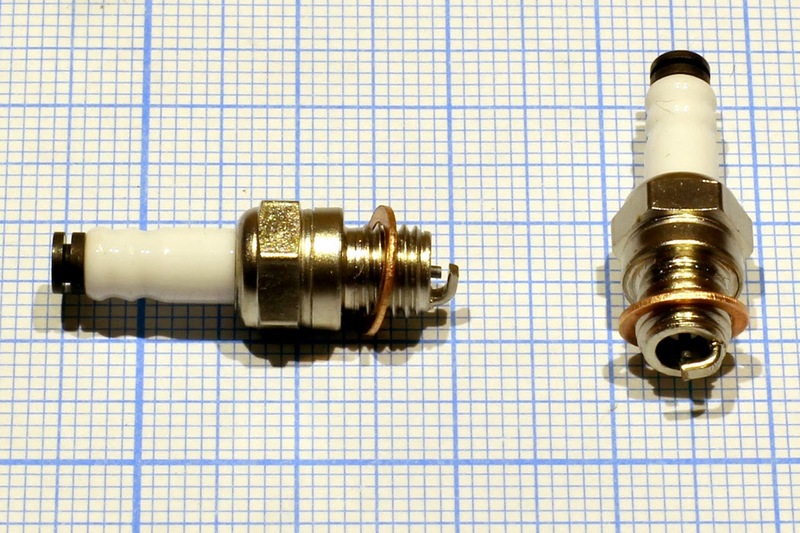 Small tube connects the motor crankcase with vacuum pump of carburetor. Decided to use for a hybrid control unit and vehicle controller Crius Multiwii AIO Pro v2, due to the larger number of ports. Addition to the various ports, gyroscopes, accelerometers on this board soldered flash-memory, it is possible to get used in the future to save the telemetry. 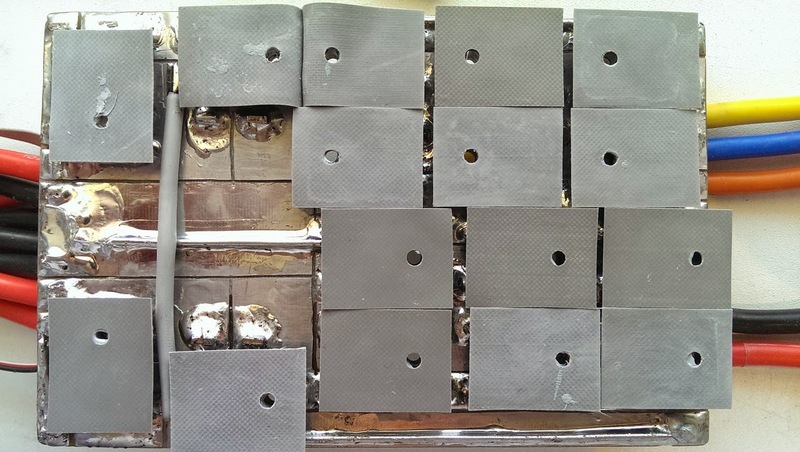 Housing for power module made ​​of aluminum radiator and aluminum profile, it sealed. Initially, I received information from the current and voltage sensor with an ADC of the microcontroller, but it has little ports (8 sensors and 8 for the radio receiver), also had to be used to transmit analog signals long multi-conductor ribbon cable. 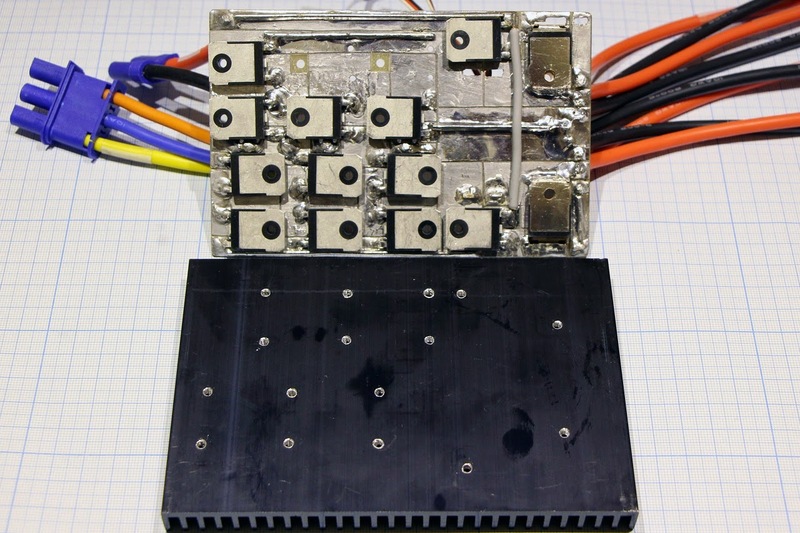 So put an external ADC (12-bit, 8-channel) directly into the power module. 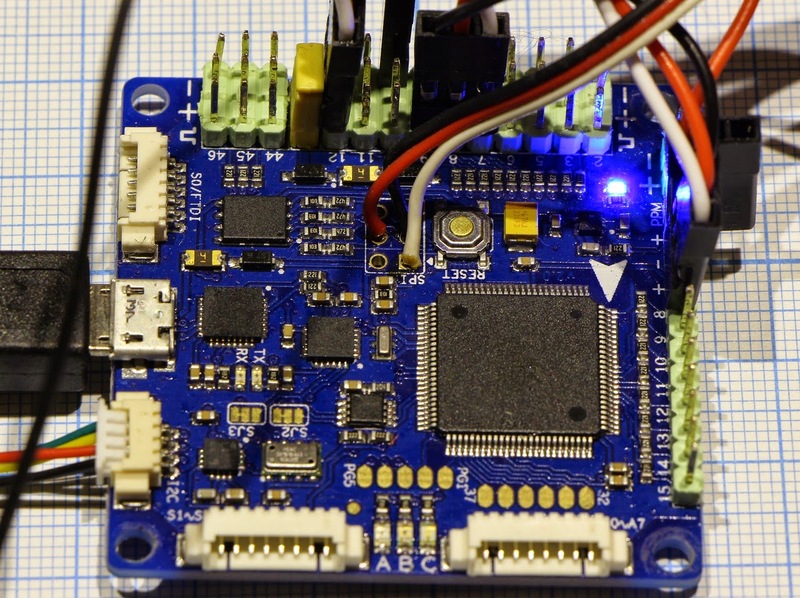 This ADC module is connected to the microcontroller via I2C bus using only 3 wires. To power the ADC (Vref) and current sensors installed on a separate 5V regulator, since it strongly depends on the accuracy of measurement. Measured voltages are applied to the ADC through a divider resistor (150k and 51K), ie, the measured voltage with a range of 0-20V is converted to 0-5V range. 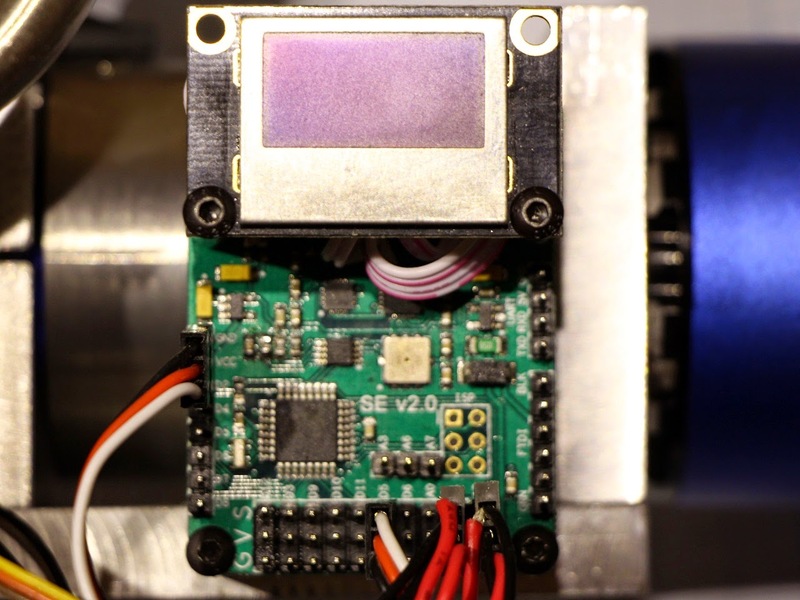 Put a larger color RGB OLED display with a resolution of 160x128 pixels. 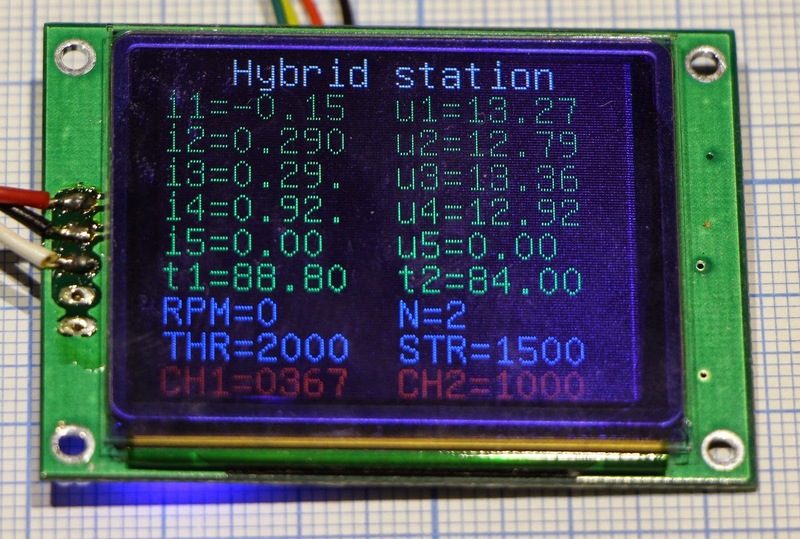 The display is connected to the I2C bus as well as an external ADC. The display supports hardware fonts of different sizes and hardware graphics accelerations (lines, squares, circles, etc) that you will need later. 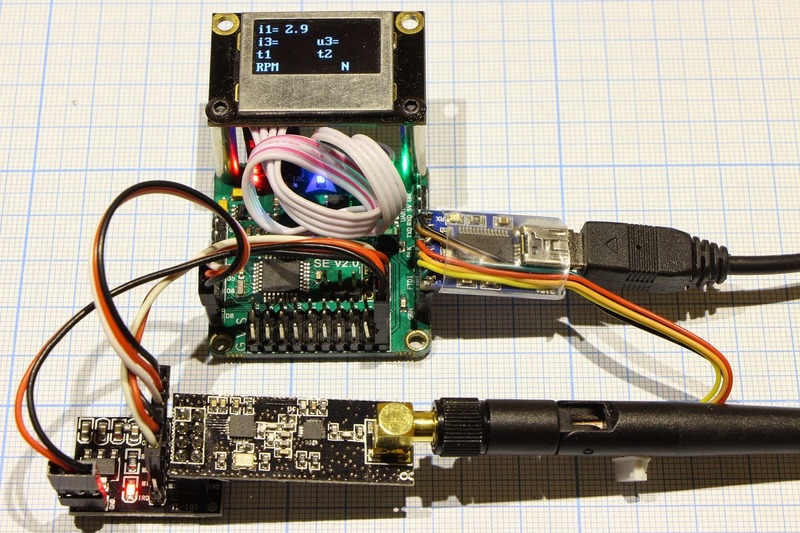 Telemetry is sent using NRF24L01+ transceiver to remote control of the vehicle. Transceiver is connected to the microcontroller via SPI bus. Transmission frequency 2,4 GHz. I used version NRF24L01+ transceiver with an amplifier and an external antenna, it provides a range of line of sight up to one kilometer. 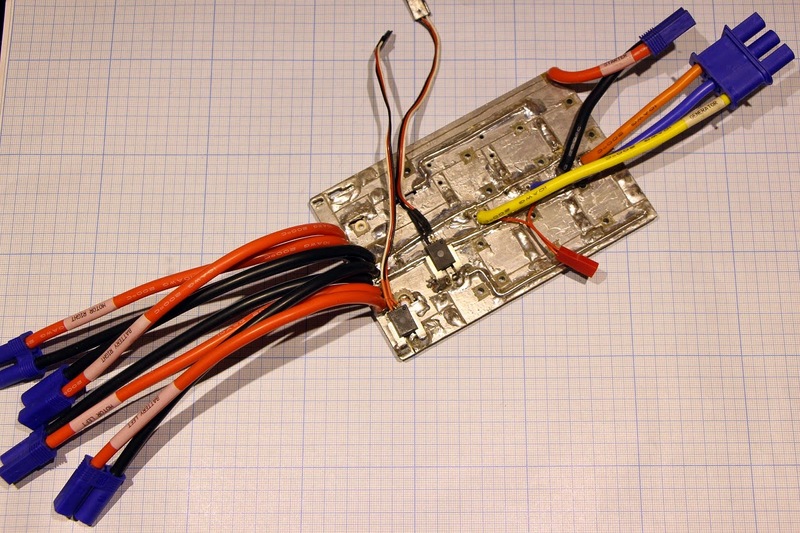 Small board under transceiver - power converter 3.3 V.
Telemetry receiver made ​​on the controller Multiwii SE, at the receiving unit will display the same as on the vehicle - RGB OLED 160x128. 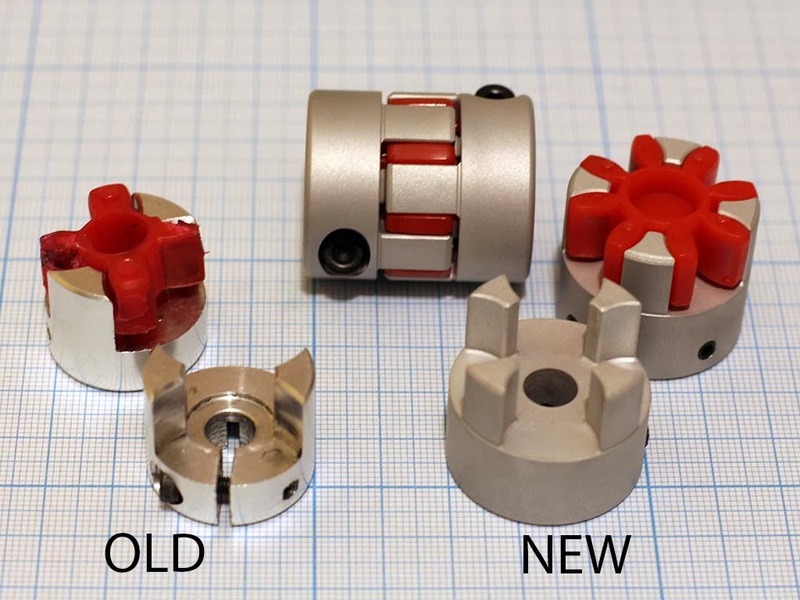 To cool the ICE will try two small turbines 50mm EDF. To install them you need to make air ducts. 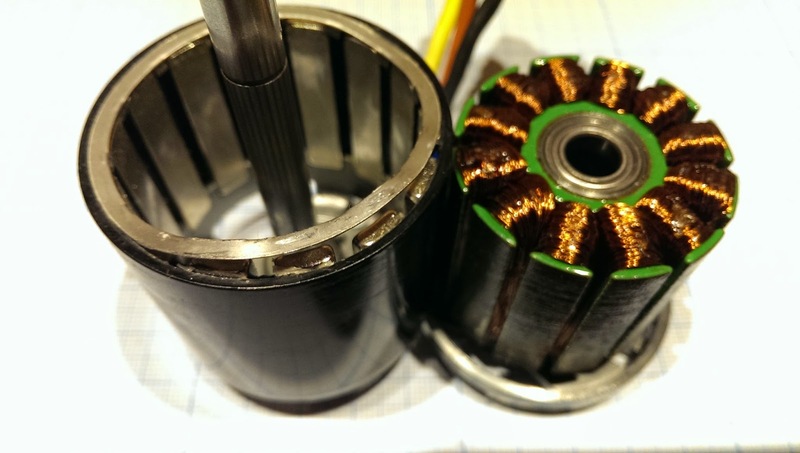 27.07.2014 Replaced the motor/generator Turnigy AquaStar T20 3T 730KV to Turnigy Aerodrive SK3 - 6374-192kv this is due to the fact that the first version gave out the necessary voltage for operation with 3s LiPo batteries only at maximum speed engine. 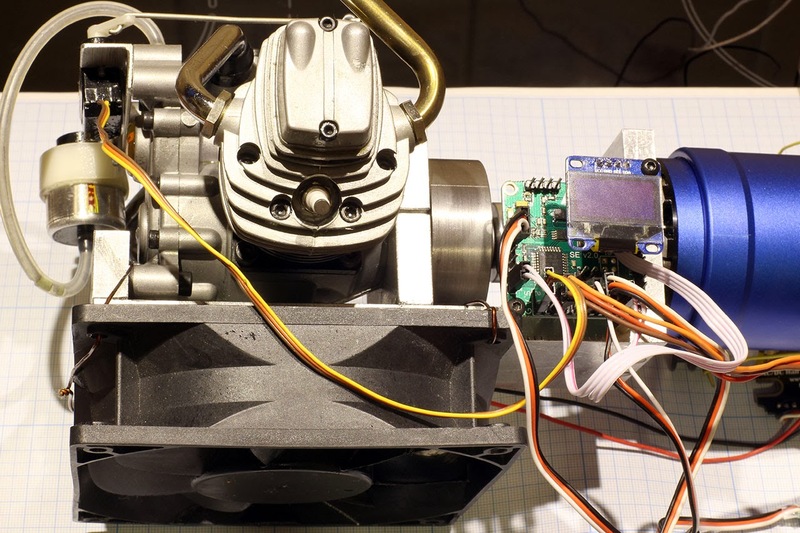 The second version should provide such an option already idling engine (about 2000 rev / min), the same can increase the number of LiPo batteries in series to increase board voltagethat allows to increase power and efficiency. 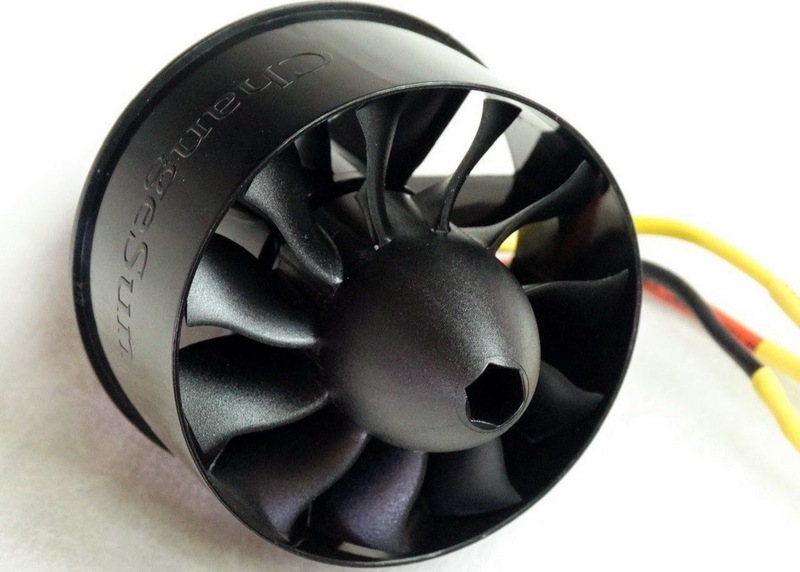 Stayed computer type cooling fan 120mm, has not yet made fasteners for EDF. New motor/generator Turnigy Aerodrive SK3 - 6374-192kv was more high-torque, but like last motor/generator can not always starting the engine. In my opinion this is a common problem sensorless systems at start rotate, maybe my controller firmware feature ESC Mamba Monster. Looking ahead repeat radioman commandment - do not rotate simultaneously two handles. So I replaced the carburetor and the motor/generator. Engine started, I started to adjust the carburetor, but there were glitches in setting the minimum idling and setting maximum gas. The main problem is that the maximum speed does not exceed 3500 rev / min and the reaction to the gas throttle was almost no, quality mixture for the most part changed only the exhaust smoke. I looked at the telemetry, and there unrealistic values ​​of currents in batteries, the voltage is normal. Touched the radiator rectifier, and it's hot. At the working Engine disconnect the battery and then the engine started to sing as laid and throttle responds correctly. I looked at the voltage rectifier - about 40V!!! Tried to include the load, but Nichrome spiral were picked up under 12V, 40V is obtained a large current that Engine stops immediately. After a few runs without batteries burn battery protection diodes from reverse current ESC. Trying to connect the battery directly to the ESC, when I turn on ESC during initialization started a little twitch motor, then when I try to start the system burnt ESC with a strong smoke. 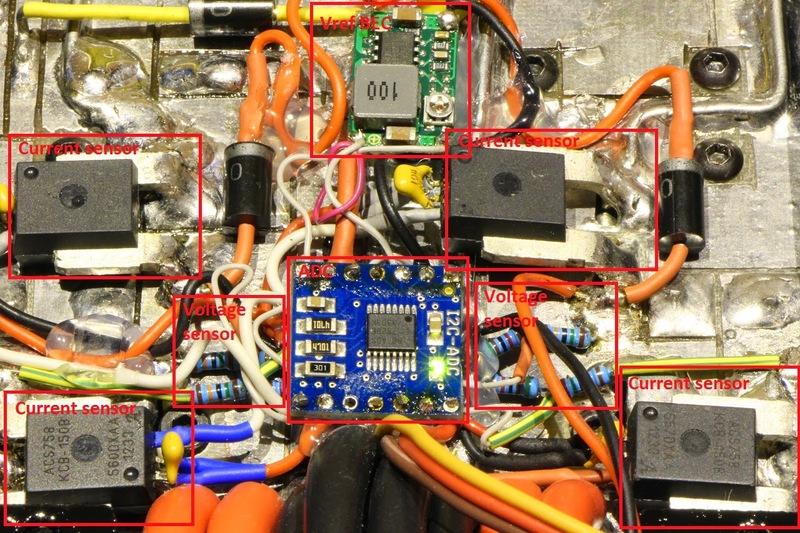 While I can not say for sure - short circuit in motor or burned down transistors in ESC. Incline to the second, because when battery is connected the had a lot of entries and it worked fine. 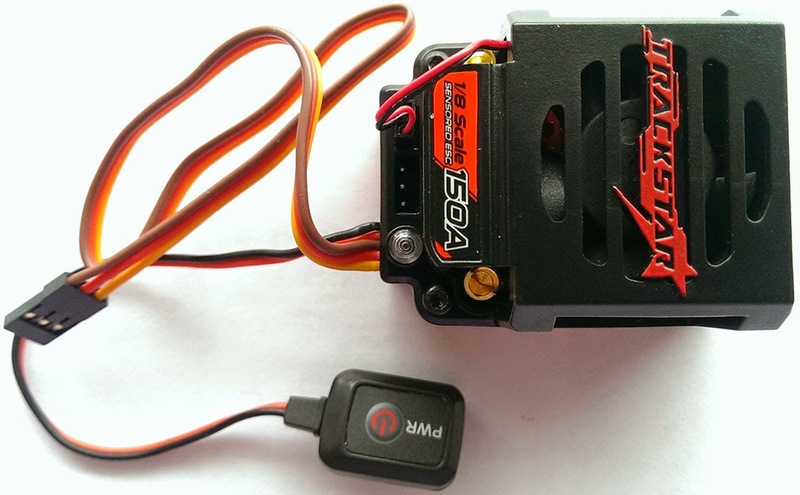 ESC Mamba Monster maximum targeted at 6S LiPo, ie about 25V, when the battery is disconnected it delivers about 40V, which caused internal problems, the battery connections just burned output transistors. Why is it so affects the battery is disconnected. Battery again worked as a voltage stabilizer, as I already had at the very first system startup, but because I already stand diodes protect against reverse current. Only here diodes I selected on the basis of a large direct current and low voltage drop so low reverse voltage - 15V. I thought that would be enough, but here with a generator replacement easily exceeded it twice. 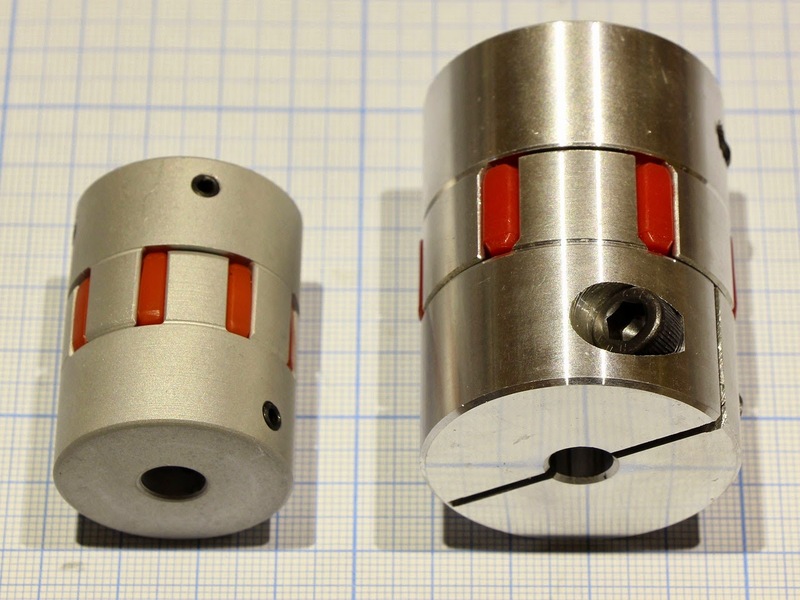 Hence, there is a problem that Engine persistently gained more than 3500 rev / min. 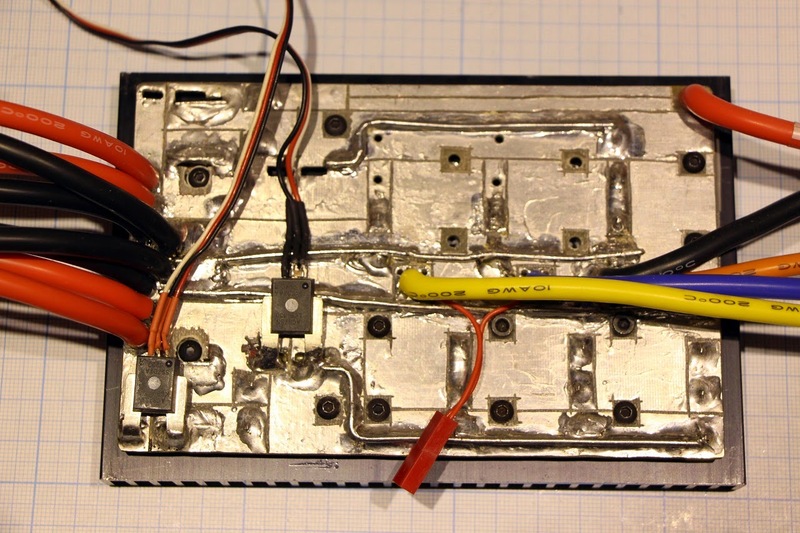 Strange that still did not burn rectifiers against overload because LiPo batteries internal resistance is very small, an almost short circuit after the rectifier. Batteries again spoiled overcharging - got about 4.35 volts per cell after all the experimentation. The computer fan also burned after increasing the voltage up to 40V. 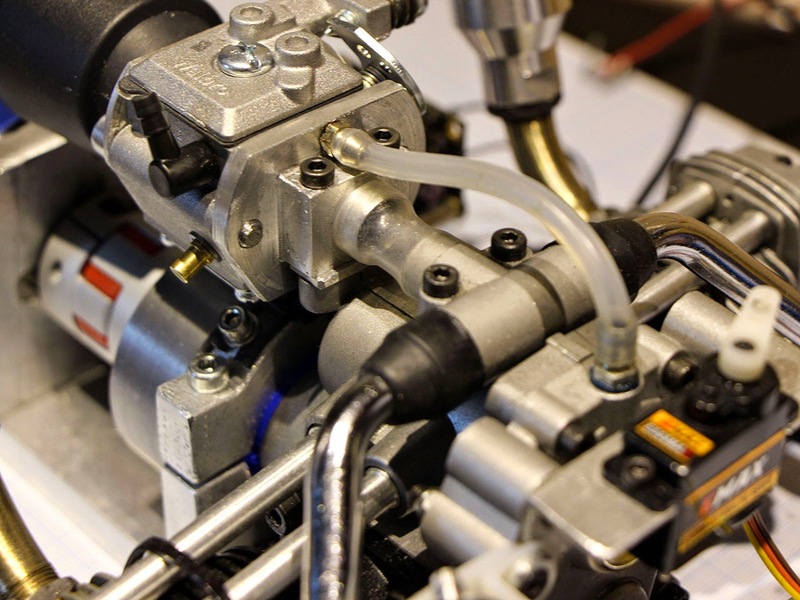 Total: carburetor must first be configured and start experimenting with the Engine idling, increasing speed and control all the currents and voltages. Now a long pause - need to replace some of the elements. 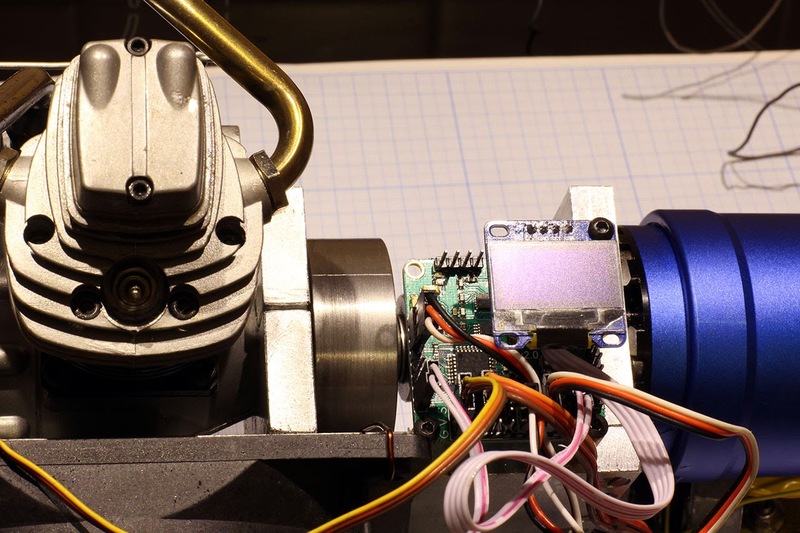 The first variant has very smooth starting performance and substantially incapable crank engine to start. Programming in various settings ESC did not have much effect. The second variant easily starts fuel engine. 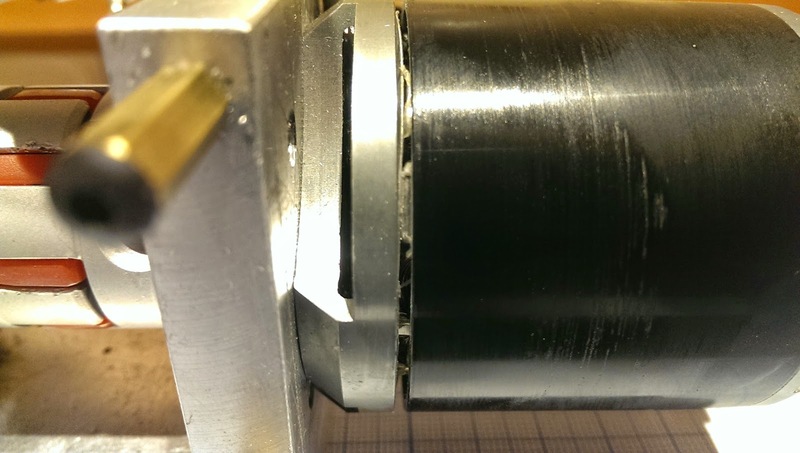 But check the voltages and currents could not do- after ten minutes of work at the motor/generator NTM Prop Drive 50-60 Series 380KV fallen off the separator magnets and several magnets. 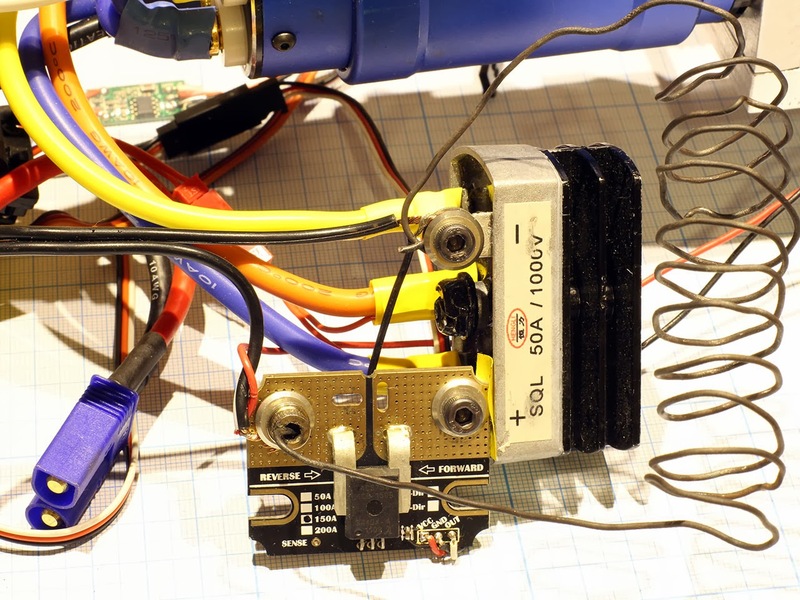 While focus on the first motor/generator Turnigy AquaStar T20 3T 730KV using the onboard power supply 2S LiPo.